The final two days of VBS were fantastic! Day Two was the Crucifixion and Day Three was the Resurrection. When Jesus was nailed to the cross some of the children had tears in their eyes! A simple yet effective skit! The Resurrection started at the empty tomb and proceeded to Jesus meeting with the disciples and finally with Thomas. Each day after the skit the children were divided into three smaller groups where the House of Hope young ladies were able to share more with them. On Wednesday, Tom discovered that he had an open wound on the bottom of his foot. We believe that it was caused by being on his feet most of Monday and Tuesday as we waited at various governmental offices renewing our identification cards. 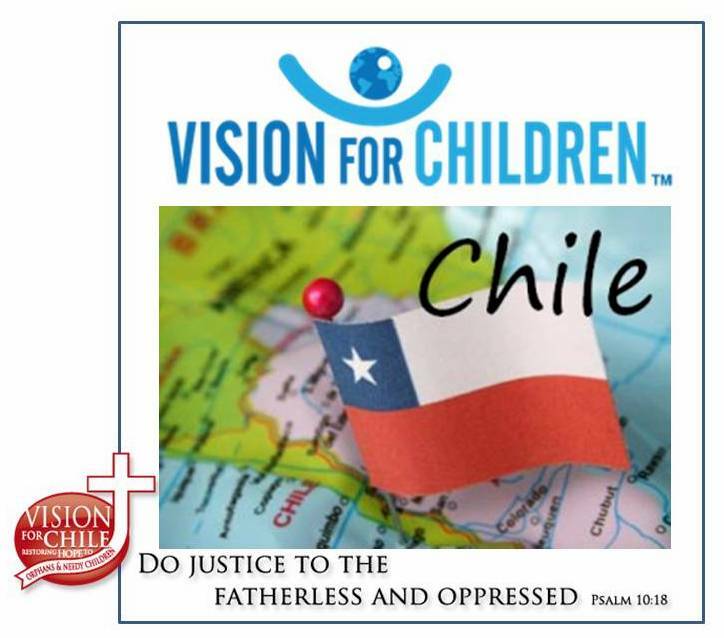 There are no visa requirements any longer to enter Chile (yes, no more $160 paid for the life of your passport) but since Tom and Bob are on the boards of two Chilean non-profits they are required to have their Chilean IDs. Tom wisely decided to forego the trip to Valparaiso and Vina del Mar and instead go to the clinic to have his foot examined. Tom spent an enjoyable (?) 7 hours at the clinic where they discovered his foot was infected. His wound was flushed out and cleaned. Tom received antibiotics and was told to stay off his feet. The rest of the team went on to Valparaiso and spent the night in what we would call a Bed and Breakfast after touring the harbor and having dinner. Valparaiso is a very colorful, historic city built on the side of a mountain. The city has several colorful inclines that carry passengers up the mountain to other parts of the city. The Bed and Breakfast provided graphically showed the architecture of a house built on the side of a mountain! After a fresh-cooked breakfast we went to Vina and walked along the beach and looked at the shops. After lunch we made the trip back to the HoH. The scenery on this drive is beautiful as you travel by vineyards and small towns. Saturday was the beginning of Kids Zone. Our young ladies do a wonderful job as they work with the neighborhood children! InterNations volunteers prepared lunch for the children. Others from Santiago Community Church and San Marcos Church joined us in getting the last of the projects completed and having a time of fellowship. One of the best parts of going annually to the HoH is that you get to reconnect with many Chilean friends! Saturday also saw the dedication of the new building to Pastor John Wilkins. Pastor John was on the first team that we sent to Chile! As Pastor John’s health declined he began more of a construction foreman role. The last few trips Pastor John made to Chile saw his role as one of prayer. He would lead our morning devotionals, talk and pray with the young ladies and pray for the work in general. Pastor John has left a legacy in Chile by being a part of the lives of not only the young ladies of the HoH but also the girls of the hogar and children of the community. Julie, Tom, Deb and Bob headed home on Saturday evening. Ilene, Garry and Kerry stayed until Monday evening. They were able to represent us Sunday morning at a Santiago Baptist church that has been supporting our work for several years. They also continued to complete tasks up to the time they departed! The girls made them Chilean Pizza before they headed to the airport and home. The “beyond” part is that Tom arrived home on Sunday morning and was placed in the hospital on Monday due to the wound and infection on his foot. After an extensive examination he underwent surgery to remove the infection. He has a little less bone in his foot than he used to have and a rather large “hole” but does still have his foot! Tom has had diabetes for many years which makes wounds and infections more dangerous. The Doctor has projected a six-week regimen of antibiotics which will be administered through a “pick” lineat home. He was released on Friday after receiving instructions on how to take care of the pick line, administer the IV antibiotics, and maintain the “wound vac” that is connected to him 24/7. The Dr. was very impressed with the blood flow and feeling Tom has in his feet. The prognosis is good and what is needed now is healing. We must always remember that our God is the Great Physician and Healer! Keep Tom in your prayers! Our next scheduled team is to start October 22 and conclude on November 6. Check your calendars and come join us! Many of our team members have expressed that they went down to help change the lives of the children of la Pintana and returned with their own lives changed! Want to experience that? Give us a call! Pray that Tom’s foot will heal completely with no complications. Pray for the girls as they begin another school year. Pray for the boys in our Plan B group. Pray for our work in the community – Hope Community, Kids Zone, music classes, tutoring, working in two hogares, working in three schools. Pray for the ability to soon be able to provide tax receipts in Chile to corporations for their support. Pray for our intern who will be going to Chile the end of May. Pray for the finances necessary to continue our ministries. Pray about your part in this work!